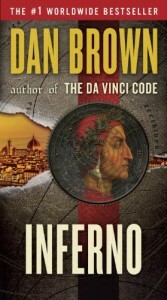 Ok… Dan Brown and Inferno… Honestly, I read this book until now because I had a bad experience with The Lost Symbol, as this book seemed long, boring and some chapters where completely irrelevant to the story. For this reason my head refused to start reading Inferno, and he wanted to avoid another boring experience. But what I can say about Inferno? Well, it was not as bad as The Lost Symbol, but it was not a work of art. The plot was entertaining, and having to piece together the memories of Robert Langdon was a good way to the make reader interact with the story. But sometimes it was too boring that this book seemed more like a tour guide than a novel. I understand that Mister Brown wanted to get the reader to imagine exactly the scenery, but if someone who has never visited those places, such additional information overwhelms. For this every time I started a chapter began to narrate for a page or two a place, I preferred to skip to the part where the action began. What seemed to me somewhat exaggerated (more than usual) was the fact that the hospital and doctors where Langdon awoke it was all an act. And then sent the same doctor who treated him to represent another doctor to continue cheating and Sienna was part of the act but ultimately cheated to achieve her goal, which was nothing that similiar to what we imagined. Do not misunderstand, I like the surprise, but not if it turns out to be a cheap trick to give something that the reader can not imagine. And the end, the fact that the virus is already global, dispersed and everything else … and then what? It is the second book that Dan Brown left incomplete, or so it seems. I’m not saying they should have find a cure, but at least in the epilogue to move a few months later, not a day, those were a couple of pages that left nothing to the story. I don’t know … I liked the plot, but eventually became long and tedious, and not worth it for the end to read. 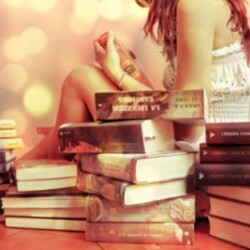 Now you tell me, have you read this book? What did you thing about it?